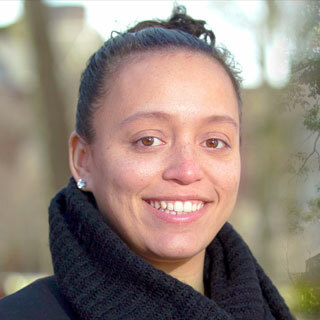 Hayley Haywood earned her Bachelor of Arts in Psychology here at Clark University, and returned to our community to serve as Director of Multicultural and First Generation Student Support in January 2016. During her time away, she earned her Master of Education in Counseling and Personnel Services (College Student Personnel) from the University of Maryland College Park and served in several leadership roles throughout student affairs. Hayley is passionate about helping students become the best version of themselves, while supporting our community’s continued evolution toward equity and inclusion. Her interests include exploring new places, eating all the foods, and integrating art and social justice. Stop by and say hello! 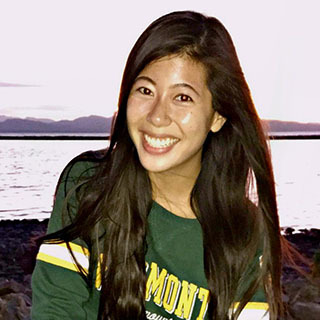 Originally from Massachusetts, Amanda Morelli attended the University of Vermont as a double major in Cultural Anthropology and Environmental Justice. Born in China and adopted into a white family, her identity has played a huge role in both her upbringing and her current primary interests in racial justice, youth development, and immigration/refugee related services. Amanda made the most of her college experience by becoming heavily involved with the multicultural community on campus and the refugee community off campus. Her college experiences are ultimately what inspired her to pursue a job in higher education working in the Multicultural and First Generation Student Support. Her other interests include traveling, reading, hiking, and eating an infinite amount of Asian food.